Home » Events » A Future Without Chocolate? Terrifying! The Collider’s monthly movie night, presented by Oskar Blues Brewery and featuring films related to climate and the environment, takes on a different flavor in October with a special presentation on chocolate. The film follows a group of craft-chocolate makers, including Asheville’s French Broad Chocolates, as they venture into the Peruvian jungle to strengthen direct relationships with farmer communities and identify new kinds of cacao to bring to market. 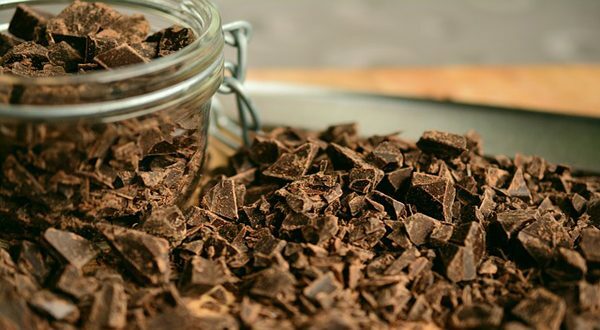 Attendees will have the opportunity to sample single-origin chocolates while a local climate scientist and representatives of French Broad Chocolates discuss the natural environment the chocolates are produced in, to include climate, soil and topography. Doors open at 6:30 p.m.; the program begins at 7. The family-friendly event is free and open to the public with a suggested donation of $10 per person or $20 per family. Popcorn and a selection of Oskar Blues craft beers will also be provided. Due to limited space, early arrival is encouraged. The Collider is located at 1 Haywood St., on the top floor of the Wells Fargo building in downtown Asheville at Pritchard Park. Access to the building for evening events is through the glass door facing Patton Ave., around the corner from the ATM machine. 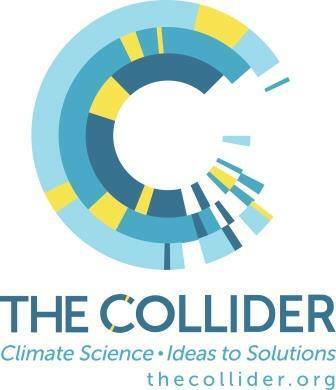 The Collider is a nonprofit, nonpartisan, non-advocacy innovation center focused on catalyzing solutions for the problems of climate change. Located in the heart of downtown “Climate City,” Asheville, N.C., The Collider offers cowork, business, and event space in addition to providing memberships, education, internships, sponsorships, and public opportunities to “collide.” In March 2018 The Collider is spearheading a new conference on the business of climate, ClimateCon 2018, aiming to address the opportunities for innovative solutions for climate change. More info on The Collider is available at thecollider.org. Follow The Collider on Facebook, Twitter, and Instagram. Founded by Dale Katechis in 1997 in Lyons, Colorado, Oskar Blues Brewery launched the craft beer-in-a-can apocalypse with hand-canned, flagship brew Dale’s Pale Ale. Today, Oskar Blues is one of the fastest growing breweries in the country and operates breweries in Longmont, Colorado, Brevard, North Carolina, and Austin, Texas while producing 200,884 barrels in 2016. The original canned craft brewery continues to push innovation with the opening of its Austin, Texas brewery and creations like The Crowler and Hotbox Coffee Roasters. Oskar Blues is available in all 50 U.S. states, Washington, D.C., parts of Canada, Puerto Rico, Sweden, Spain, Chile, the Netherlands, Belgium, the U.K. and Australia. Located in the heart of downtown "Climate City" -- Asheville, North Carolina -- The Collider is on the top floor of the newly renovated Callen Center inside the Wells Fargo building in downtown Asheville. Here, coworking, private offices, meeting and event space – fully equipped with world class connectivity – is available to businesses, scientists and innovators addressing climate change solutions. Our world-class facility is just steps away from the headquarters of the National Oceanic and Atmospheric Administration’s (NOAA) National Centers for Environmental Information (formerly known as the National Climatic Data Center), the world’s largest repository of climate and environmental data. For more information, visit www.thecollider.org or email us at info@thecolliderorg. French Broad Chocolates is one of our favorites in town! So many spectacular chocolate yummies that it’s hard to chose a favorite, but don’t be afraid to branch out from just chocolate. Their carrot cake is amazing, and so is their ice cream!